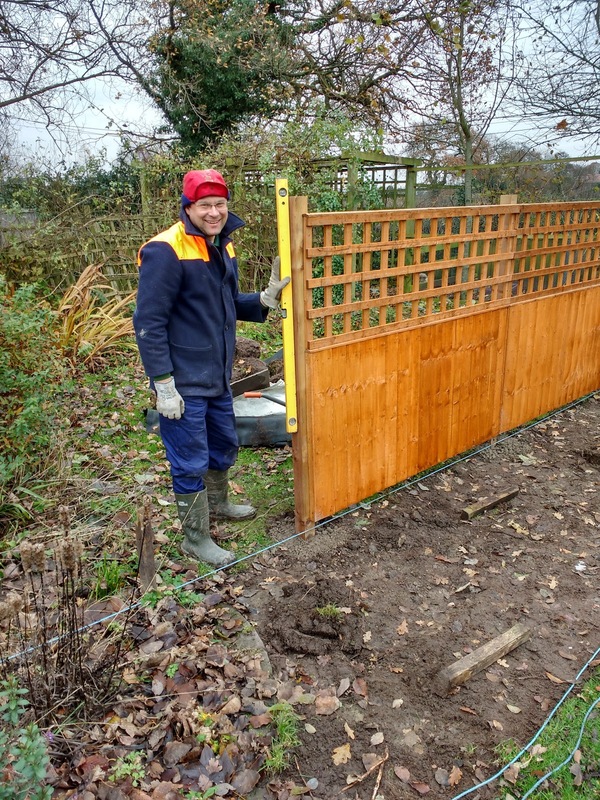 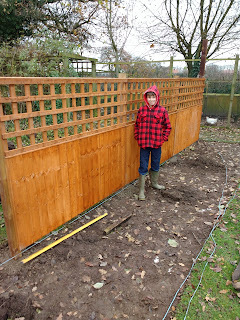 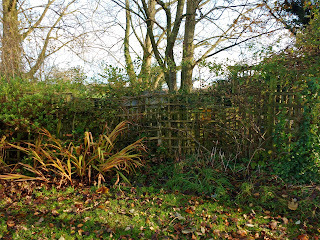 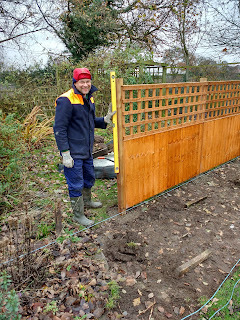 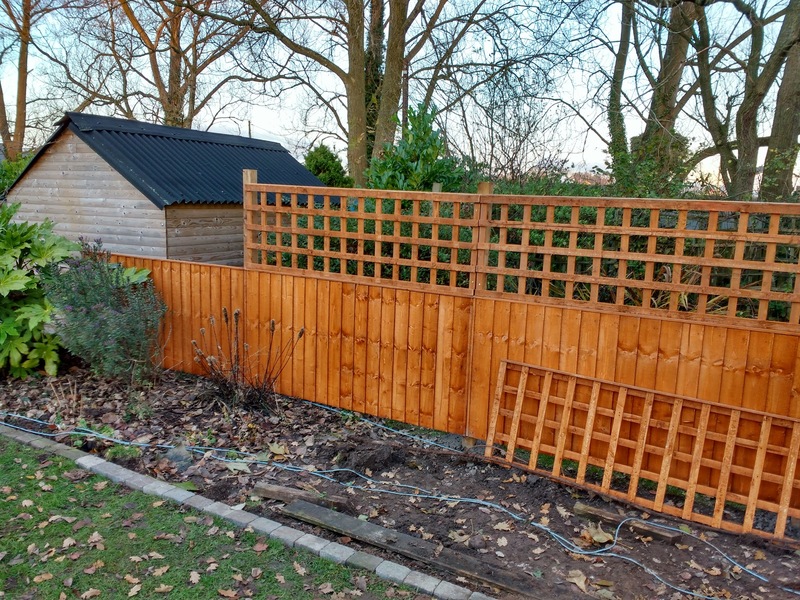 Last weekend Mark and Luke put up a new fence in the garden to create a what he said would be a small compound area. 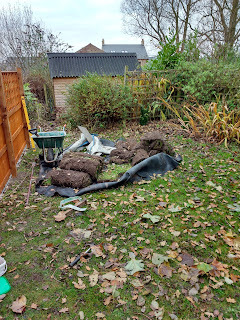 Having looked at it I wouldn't call it small but it will tidy things up as it means all the wheelbarrows and pots that have finished flowering can be stored there. 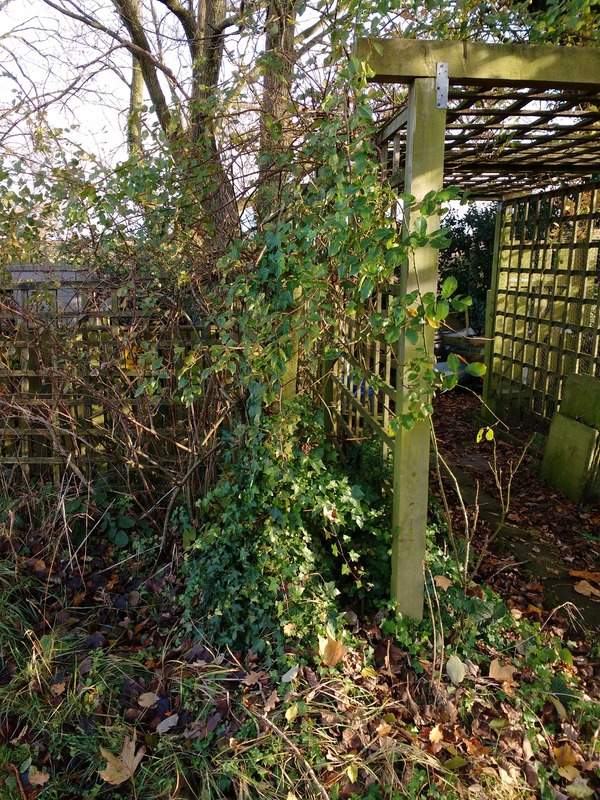 The area is at the bottom of the garden and is next to the sub-station. 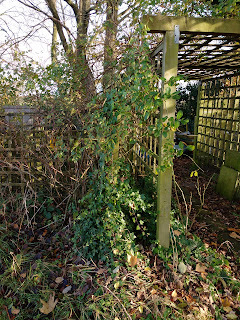 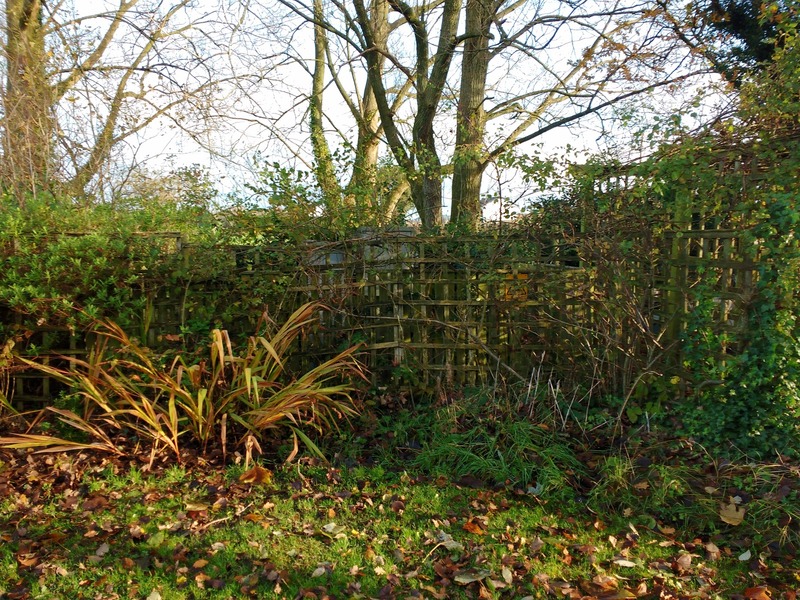 There is a border but it is a bit overgrown and the trellis that the roses grow up is rotten and needed replacing so it was the ideal opportunity to rethink that area of the garden. 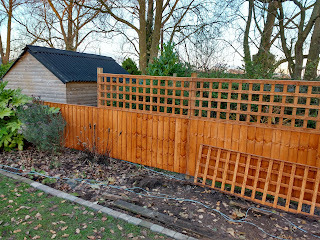 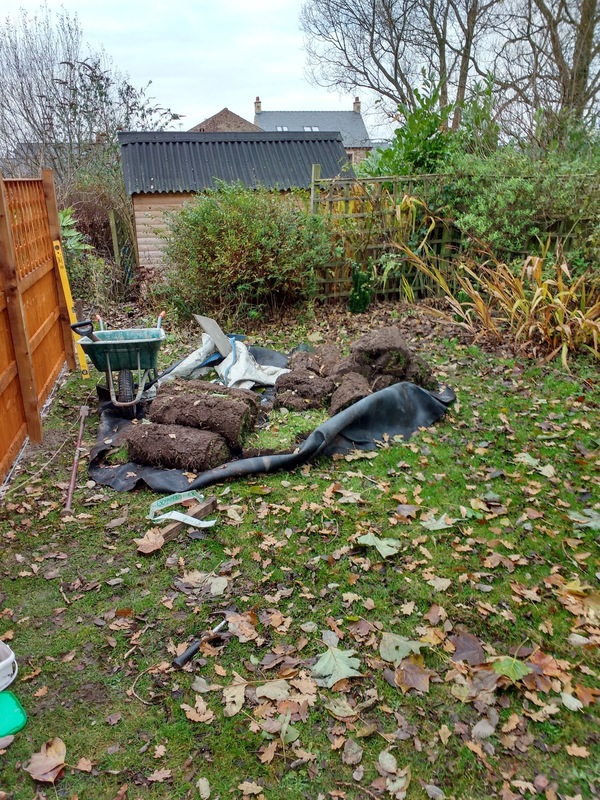 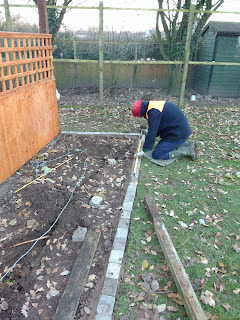 We will move the plants and the roses in the Spring and Mark has taken the turf off the area in front of the new fence ready for a new border. 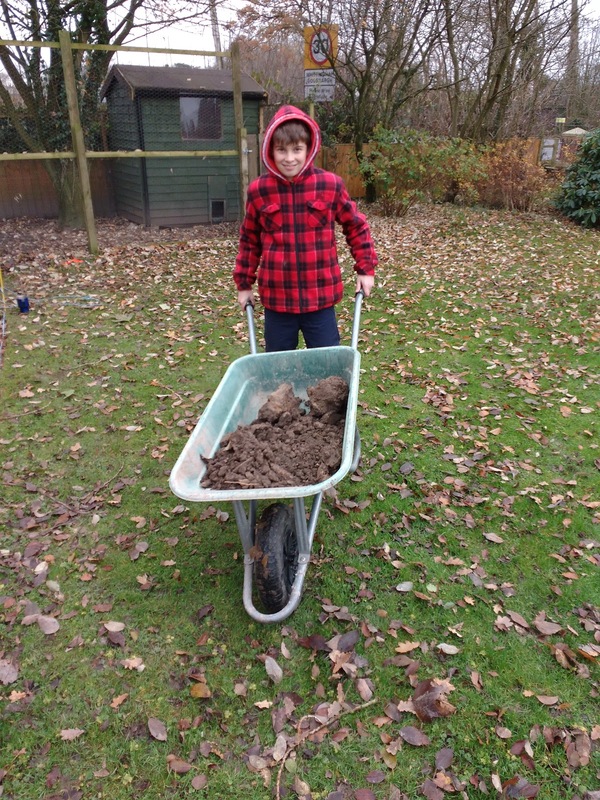 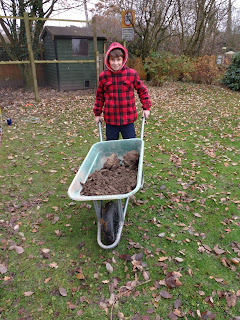 Luke was a big help, mixing mortar and barrowing it down to the bottom of the garden. 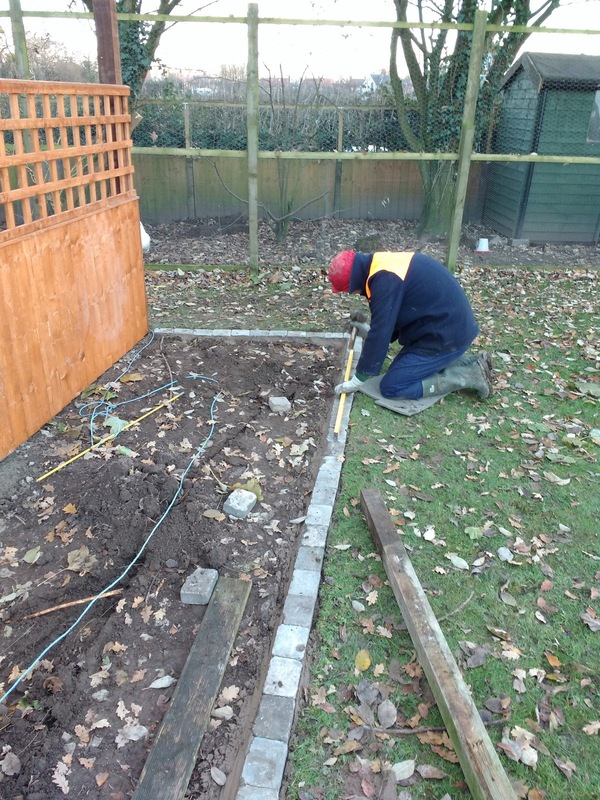 The new border has been edged with edging stones and it will look really nice next summer when it is planted up.